Girl this shirt is perfect to dress your look up or down. 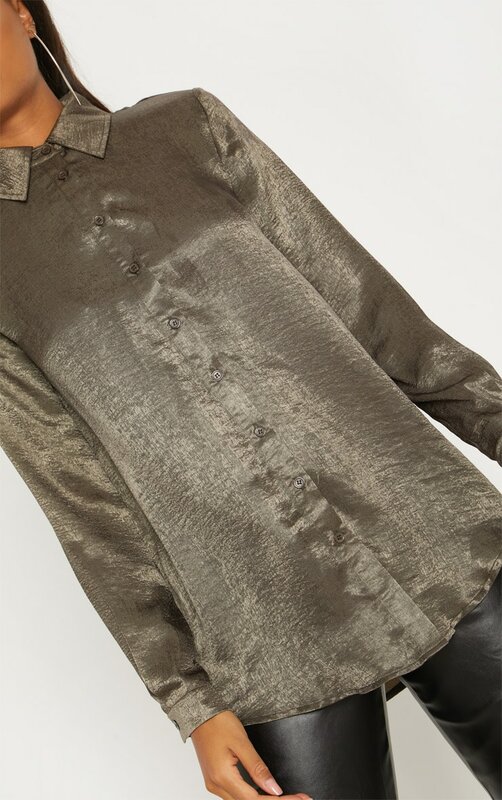 Featuring a khaki satin material with a button up design. 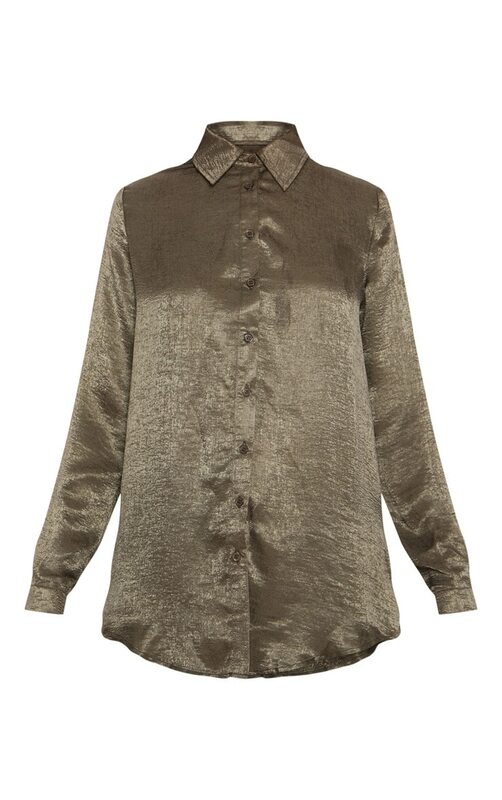 Team this shirt with some faux leather pants and barely-there heels for a weekend worthy look.